which pairs perfectly with a comforting pot pie! The holidays are quickly approaching and as each day passes I grow more and more excited! Next week is already Thanksgiving and before we know it Christmas is going to be here. I love this time of year because it means I get to spend more time with my family and friends. It seems as if we are all so busy during the rest of the year that we don't get together as often. But as soon as the holidays arrive, there are parties and get together's just about every weekend. One of my favorite events is the get together I throw at my house for my closest girlfriends, my BFF's. I've been hosting this party for a few years now, and it's always so much fun to get together and eat, drink, talk, laugh and just be crazy girls. Lord knows we don't see each other often enough! I insist on making all of the food myself (after all, I am the food blogger of the group! ), and the girls usually bring delicious beverages. You know, like wine and Rumchata. The good stuff. This year I've decided our main dish is going to be pot pie. Warm, comfy, and just downright delicious, it's the perfect meal for our party. Of course I'll have a few apps to start us off, and there will be side dishes and desserts, too. But the pot pie will be the star. I love Marie Callender's® Chicken Pot Pie because it tastes homemade and reminds me of the pot pies my mom used to make. There is comfort inside that golden, flaky crust! Plus, it truly provides stress free entertaining. And we all need that during the holidays! I created a light and fresh Kale Salad with Walnuts, Pomegranate Seeds and Feta for our side dish. Topped with a lemon vinaigrette, it really pairs perfectly with a slice of the chicken pot pie. It's super simple to make and can be made ahead of time, so there isn't any rushing at the last minute as your friends start to arrive. 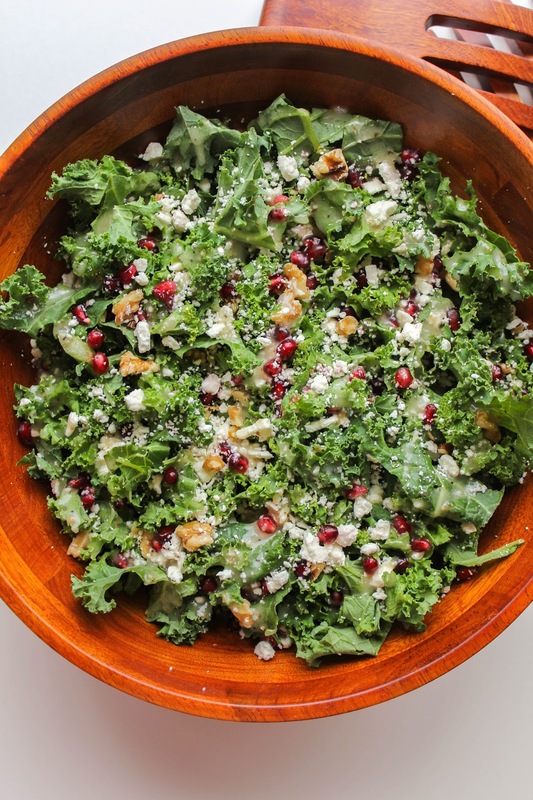 In a large salad bowl, add the kale, then top with the remaining salad ingredients. Toss well to combine. In a small bowl, whisk together the lemon zest and juice, sugar, and mustard. Add the olive oil slowly, whisking constantly until the dressing is well blended. Season with salt and pepper. 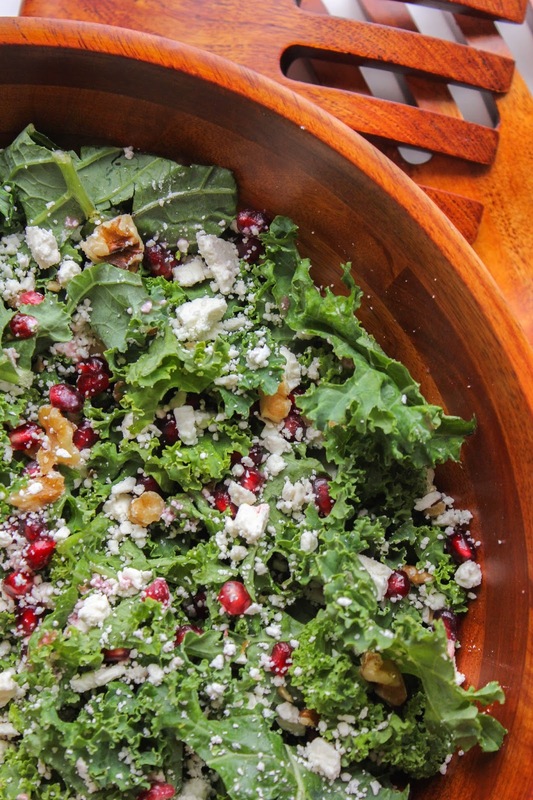 Pour the dressing over the salad and toss gently to coat. Serve immediately. For Pot Pie coupons and other meal ideas, be sure to visit the ConAgra Foods website! 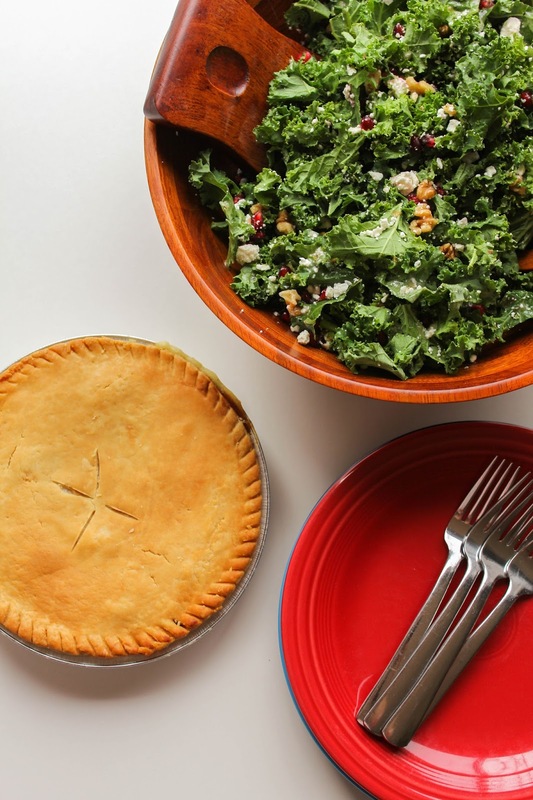 You can also sign up for ibotta and receive rebates on the individual pot pies, as well as the family size pie. 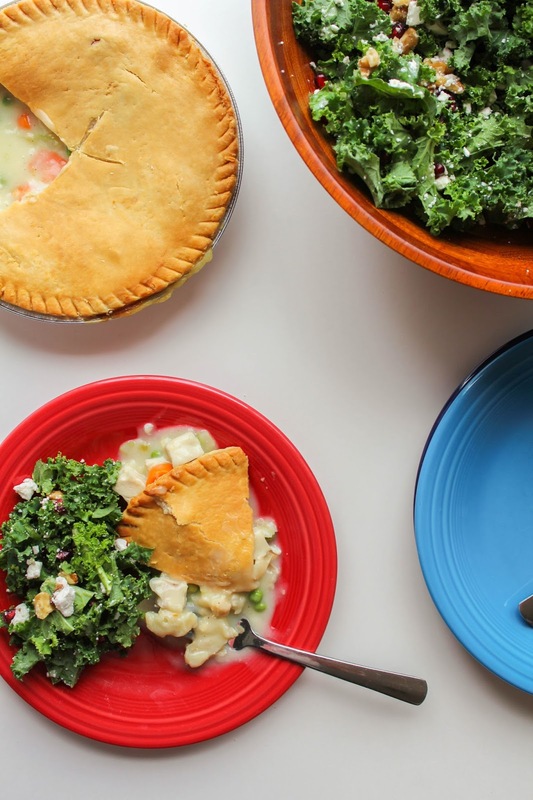 Which Marie Callender's® Pot Pie variety are you most excited about trying? I picked up Marie Callender's® Pot Pies at my local Walmart store. They can be found in the Frozen Meals and Dinners aisle!